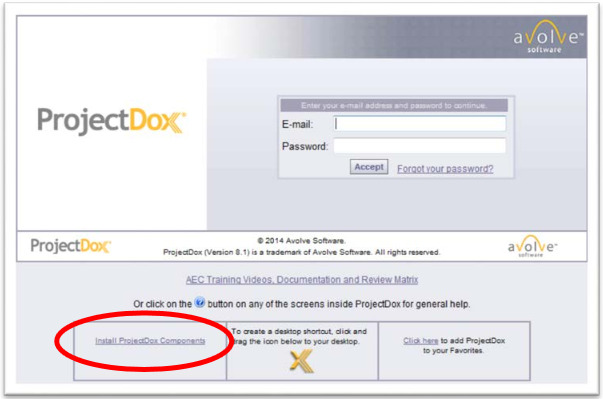 Please note: We have upgraded ProjectDox. Browser requirements have changed for the new version. IE10+ or comparable version of FireFox, Chrome, or Safari is required. Also, if you are using IE10 or above, you may have to install new components as shown in the picture below.